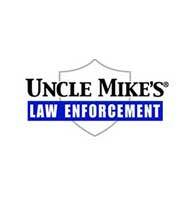 Uncle Mike's entered the law enforcement arena 20 years ago. Our holsters, duty gear accessories, bags, gloves, slings and gun care products reflect everything we've ever learned about critical design and focused performance. For more information about Uncle Mike's products visit www.unclemikes.com. Uncle Mike's LE Brand Materials will be available soon.